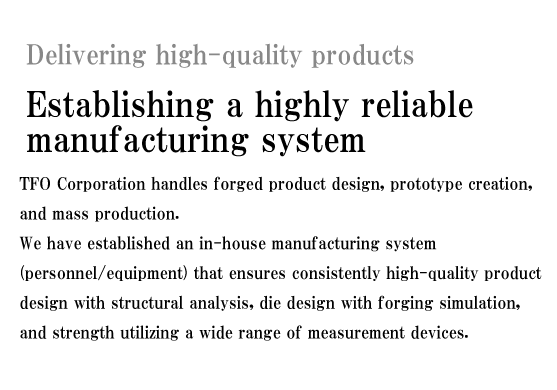 TFO Corporation handles forged product design, prototype creation, and mass production. 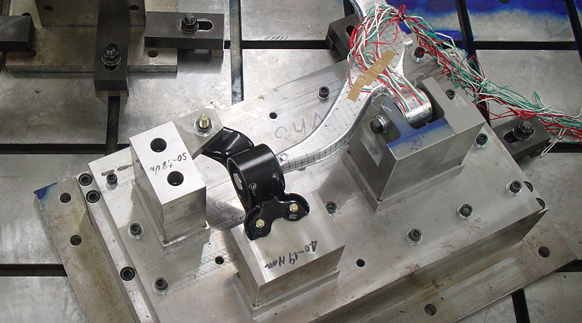 We have established an in-house manufacturing system (personnel/equipment) that ensures consistently high-quality product design with structural analysis, die design with forging simulation, and strength utilizing a wide range of measurement devices. 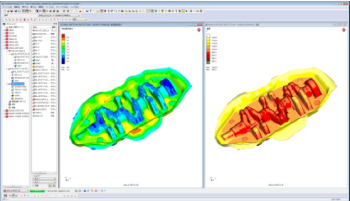 After receiving an order, we discuss form, properties, and specifications, examine the design, forming load and stress on die multi-directionally before designing a forging die utilizing CAE technology accumulated over 10 years since the system was implemented. 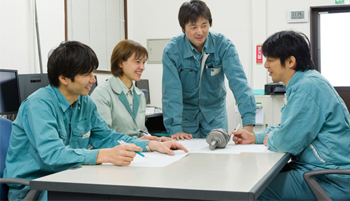 Evaluating CAE results, we determine the best form, forging process and plan as well as die structure to ensure products that satisfy customer needs in the shortest time possible. 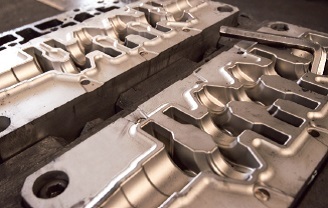 We place a priority on the ongoing development of technology that enables us to manufacture high-precision dies in the shortest time possible by fully utilizing CAM technology that ensures the leanest process and best cutting tools to provide dies to customer manufacturing sites in a timely manner. 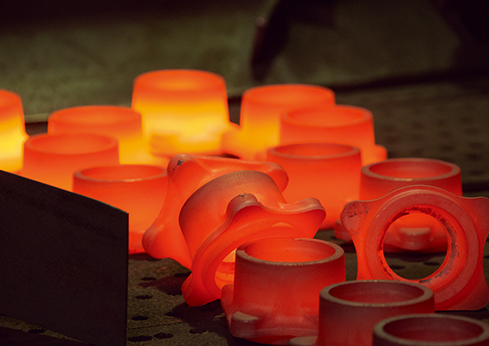 We manufacture prototypes under the same conditions as mass production products. 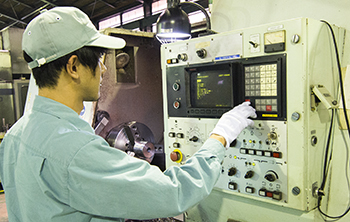 Based on CAE results, we examine the moldability, yield, and the potential for defects in consideration of actual manufacturing equipment to ensure product precision and cost reduction. 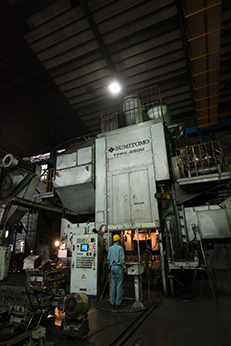 Our evaluation system allows us to confirm that products designed satisfy the requirements and strength required by our customers through a wide range of testing utilizing experimental equipment. TFO’s unified management system closely oversees customer orders from receipt to delivery to ensure production quality and stable supply. 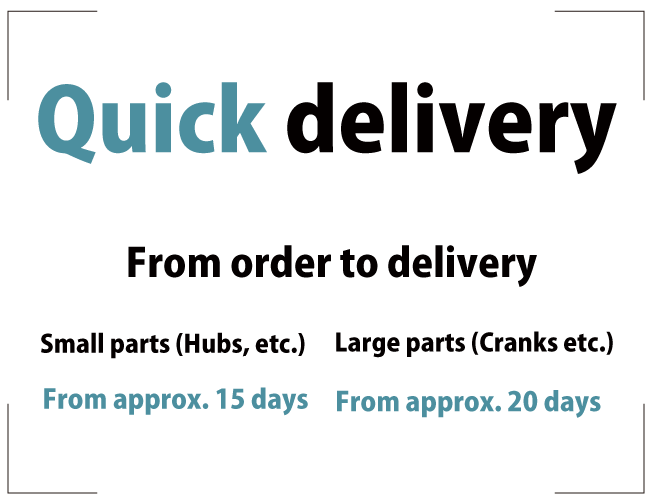 We prioritize customer satisfaction through the reliable supply and on-time delivery of high-quality products to the designated location.